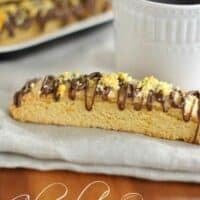 Chocolate Orange Biscotti: a delicious breakfast treat, packed with sweet orange flavor and drizzled with chocolate! My mind always is thinking of the next great biscotti recipe. Anyone else with me on this? Okay, so maybe not everyone thinks the same way I do. But, biscotti is a delicious, crunchy treat that is perfect for breakfast. Seriously, cookies for breakfast. And because biscotti is totally acceptable, you can put anything in them! (hello..turtle biscotti) Today, though, I made some Chocolate Orange Biscotti. 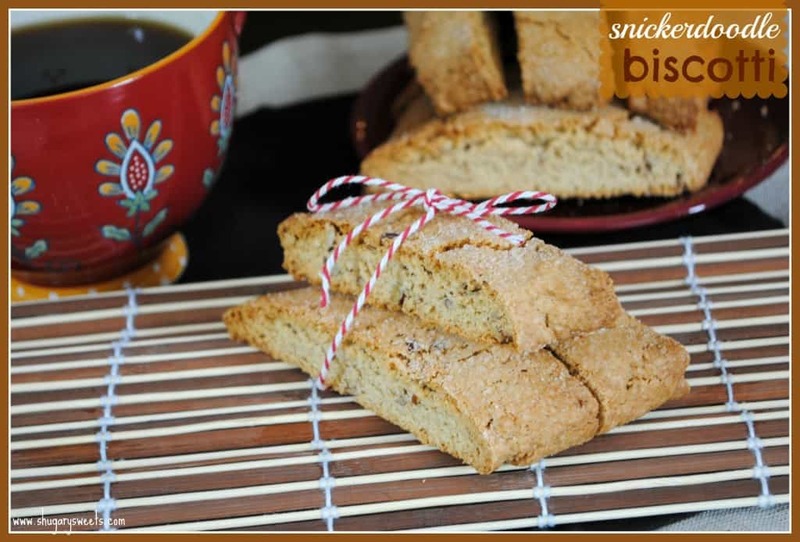 Biscotti is not difficult once you learn how to make it! Start by preheating your oven to 350 degrees F. Line a large baking sheet with parchment paper. Set aside. In a large mixing bowl, beat softened butter with sugar until combined, about two minutes. Add in eggs, orange extract, and orange zest. Slowly add flour and baking powder. The dough will be crumbly. Using your hands, dump dough onto parchment paper, and shape into a 12-inch by 4-inch rectangular log. Pat evenly so it will be about 1/2 inch high. Using your warm hands you should be able to press dough together smoothly. Bake for 25 minutes. Remove from oven and slice biscotti into 16-18 slices. Arrange slices on their sides, leaving a little space between each slice. Return to oven and bake an additional 10 minutes. Flip slice to other side. Bake 10 more minutes. Remove and cool completely before garnishing. In a small bowl, combine the zest of one orange with sugar, using a fork. 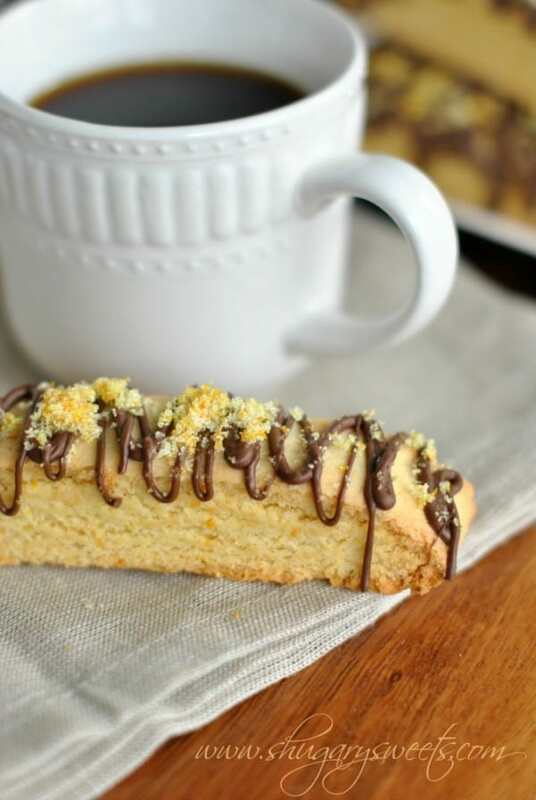 Drizzle melted chocolate over each biscotti slice and immediately sprinkle with orange sugar. ENJOY. Cooked and cooled biscotti should be kept in an airtight container at room temperature. If well sealed, it should last up to two weeks, perfect for enjoying in a hot cup of coffee! To freeze biscotti, slide cooked treats into an airtight, freezer safe container (or ziploc bag). Seal and freeze until ready to enjoy. Thaw overnight. What’s YOUR favorite biscotti combination? 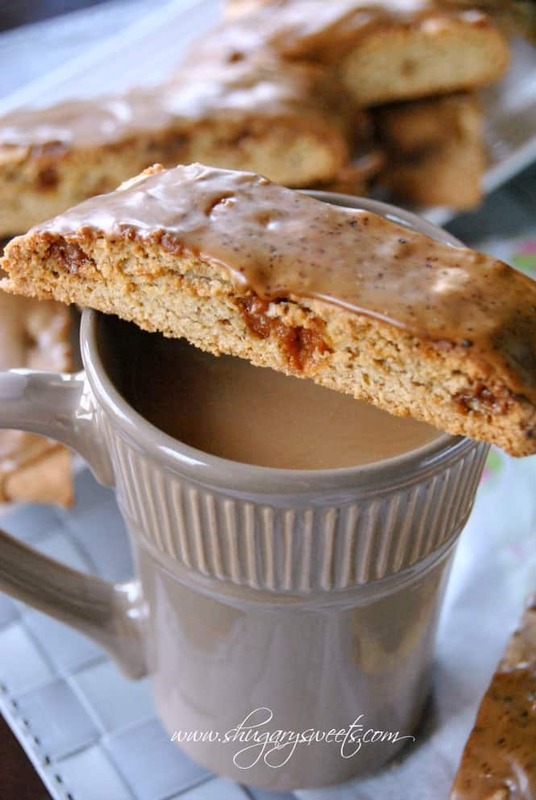 This Caramel Macchiato biscotti is a favorite in our home! Packed with flavor and perfect for dipping. Snickerdoodle Biscotti. Truly it’s a cookie for breakfast. But, totally acceptable too! 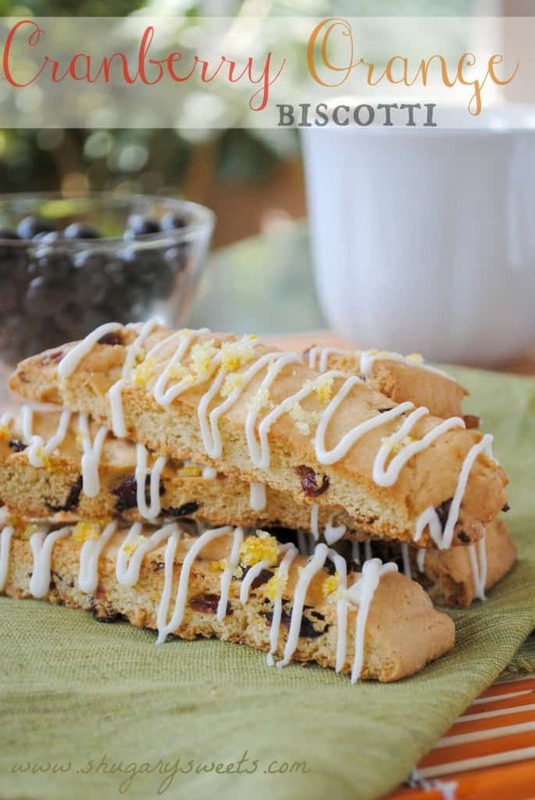 Cranberry Orange Biscotti. Another delicious combination! **To drizzle chocolate, pour melted chocolate into a small ziploc bag. Snip off the corner and drizzle over biscotti. 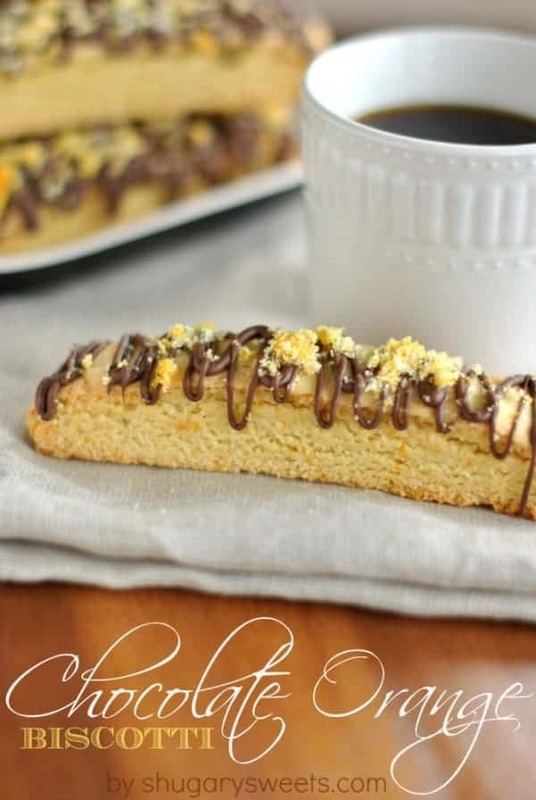 This looks so delectable…adore biscotti! It’s my favorite Italian cookie to give as gifts! This flavor is lovely! Thanks Carol. They do make great gifts and they ship quite well too! Aimee…I think of you as the fudge and biscotti queen 😀 This new biscotti concoction looks fantastic! I love espresso chocolate biscotti and gingerbread biscotti. I want to try an apricot white Choctaw recipe, and now this! I love orange and chocolate together. These look amazing, Aimee! Oh apricot white chocolate sounds lovely Marcie!! Great combo. I am such a biscotti fan as well. Yeah for getting you hooked 🙂 Or, sorry?? haha! Chocolate and orange is a fabulous combo! 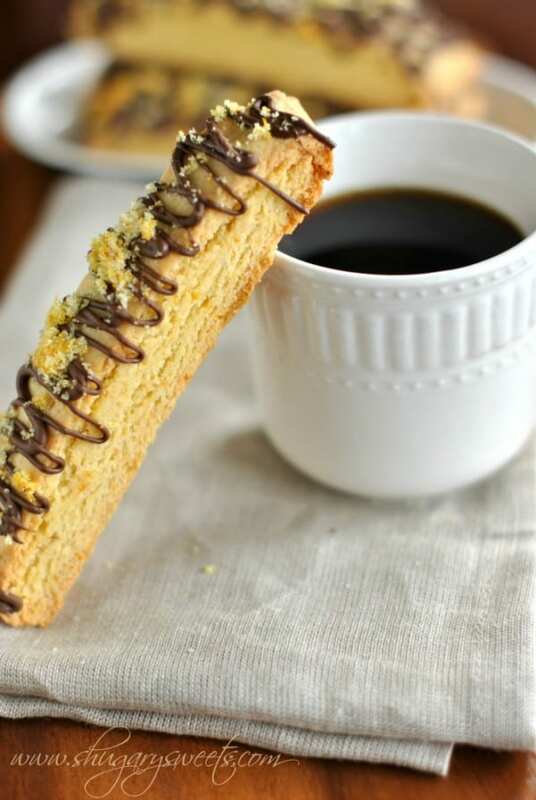 I don’t normally drink coffee but would love dunking these biscotti in a nice cup of hot chocolate! I’m all over any excuse to have a cookie with my coffee! And these look SO delicious – love orange and chocolate! I am newly in love with orange and chocolate. These are gorgeous Aimee! I’m a long time lover, haha!! 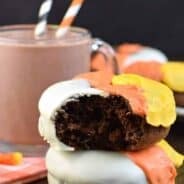 Orange and chocolate are an amazing combination! I love biscotti, I don’t know know why I save them for my Christmas baking! Yeah, you need to change that!! Homemade biscotti! I don’t know why I never thought about someone doing it at home, but I didn’t… brilliant. The flavors you chose sound great. YUM! Thanks Tiffany, I truly adore having a bag of these on the counter. YUM. I’m completely down with cookies for breakfast. I’m coming over for some coffee and one of your fabulous biscotti creations…K??? Yes! Please please please come for coffee and biscotti! Seriously I have actually never tried to make biscotti. I need to jump on this! I could see it becoming very addicting! Oh it’s like a cookie, just so many flavors once you start making them! ohhhhh biscotti. I dont think I’ve ever met a biscotti I didnt like, and I think I’d really really like this one! Thanks for a tasty recipe! You know I tried making biscotti because of you so I will definitely be giving this one a try too! Yeah, I love lemon and white chocolate too. But I promise this is the next best thing! That is some seriously lovely biscotti! I love the combo of orange and chocolate. So incredible! Glad I’m not alone in this! I rarely make biscotti since I CAN NOT STOP eating them! They totally addictive and it just happens that orange and chocolate it’s a combo dear to me. I LOVE the combination of orange and chocolate, and I’ve never seen it in biscotti! These look amaaaaazing! 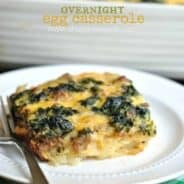 OH my – this looks so delicious! I love chocolate and orange flavors together. 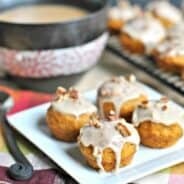 I’m Gluten Free want to know if I could use a Gluten Free Bob’s Mill 1 to 1 Baking Flour for these Scones? I’ve never used their gluten free products, but if it says it’s 1:1 then I say give it a go! !